There are several pot lights. But choosing the right lighting is not a walk in the park. To get the expected lighting effect, save energy, and keep the property safe, you must take into account a large number of factors. Are you planning to install outdoor pot lights? Interested in lighting for wet locations, like the bathroom? Want to focus on enhancing ambiance, task areas, or both? The answers to these questions will determine which trims, housing, and bulbs to get. Are you remodeling or is this a new construction? Whether or not you have access to upper and lower parts of the ceiling is important. It determines the housing type of the indoor lighting. If you do have access to the ceiling, you can get new construction housing lighting, which is nailed. If not, pot lights installation require opening a hole in the ceiling to fit the fixture. Problems you might encounter have to do with the structure of the building and its installation. For slanted ceilings, for example, you need slope lights. If the space above the ceiling is limited, low profile potlight options are the best. In many occasions, the lights come in contact with insulation, which usually runs over basement ceilings, attics, and top floors. When recessed lights are turned on, they generate heat and thus the external part of the housing found in the cavity gets hot too. If it gets in contact with insulation, there is a risk of a fire since insulation is combustible. How to avoid such risks? By installing IC-rated pot light. Another option is air tight housing. This ensures the cavity on the ceiling is fully covered and air doesn’t go in or out. As for housing sizes, the most popular size is 6”. Smaller apertures include 5” and 4” housing options. This is the visible section of the light. So, the trim of your living room, bedroom, or kitchen recessed lighting must match the style of the room. The size of the trim ranges from 3” to 6”. Large ones allow broader light in the space and can host a bigger range of lamps. But smaller ones add more elegance and are broadly used by interior designers. But then again it will depend on the application. If you are interested in task lighting in the office or kitchen, 4” and 5” trim choices will be great. Such trim options make the best kitchen island lighting ideas. Baffle trims feature grooves, which serve for the absorption of excess light and they help you make an easy choice when you are looking for bedroom, den, dining room, or living room lighting ideas. Adjustable trims allow the bulb to turn and hence enable you to illuminate a desired area. So you don’t have to install these lights at the center but still shed light to every corner of the room. Pinhole options are the best when you want to focus on a particular area. If you want to highlight a display or artwork, they are the perfect choice. Reflector trims can enhance lighting in the room and that’s why they are preferred for high ceilings. 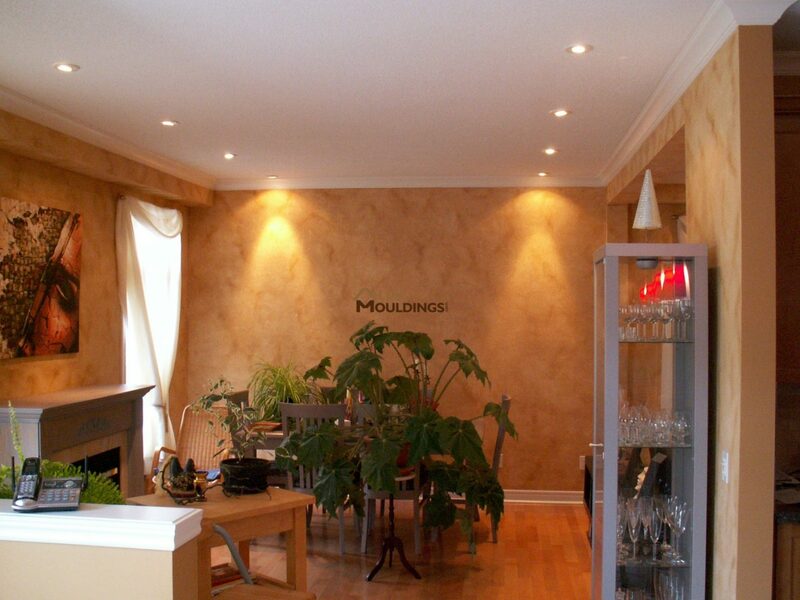 Wall washed trims enable even lighting and smooth wall imperfections. These types can make small rooms look bigger. Glass trims allow for some interior design tricks since they make lighting sparkle while they still illuminate the room. Which bulbs to use for pot lights? There are four main types of bulbs: incandescent, halogen, compact fluorescent, and LED pot light bulbs. Incandescent bulbs were most commonly used up until recently but they are considered old technology nowadays. 90% of their energy is turned into heat and only 10% is converted to actual light. Halogen lamps are outdated too. They are actually incandescent bulbs with the only difference that their filament is hosted in a tiny capsule with halogen gas. But they last longer and are brighter than the traditional incandescent lamps. Compact fluorescent bulbs last much longer than the above options. They usually have a spiral form or consist of tubes. LED (light emitting diode) is the most innovative technology in lighting and energy efficient. Unlike other bulb options, LED bulbs don’t have mercury and are dimmable. Bulbs also differ in size, base, and shape and so it’s not always easy to use the existing fixture and simply replace the traditional lamp with LED options. It’s easy to do and cost-effective, but a LED bulb in an incandescent trim and housing might trip the circuit breaker and reduce the lamp’s lifespan. If it doesn’t fit well, it won’t look good either. Do you need dimming LED lights? LED pot lights dimmable down to 0.5% can save a lot of energy. 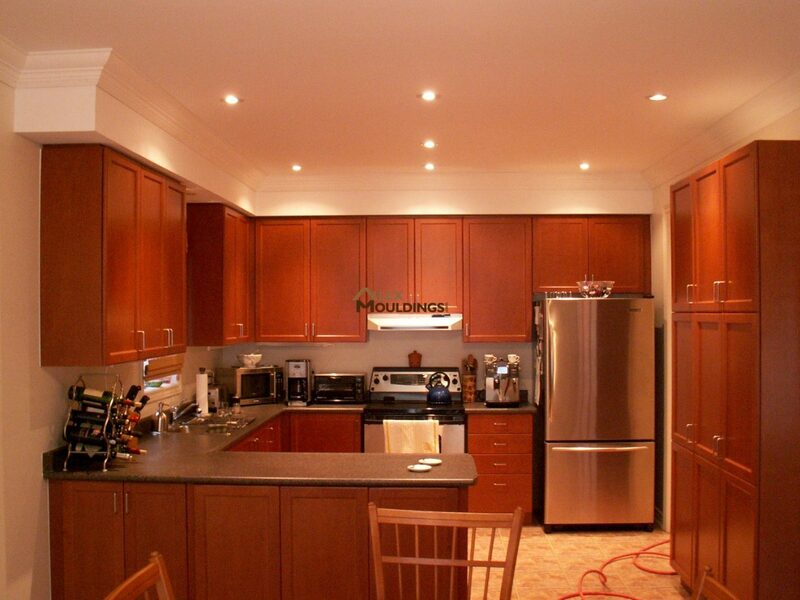 With a dimmer switch, you have the chance to control lighting in each room. You don’t need 100% light emission all the time. So you can adjust the pot lights for kitchen family meetings and food preparation and lower the dim when you walk out of the room. Not only do you save energy but help the bulbs last longer. What’s very practical and cost-effective is to dim lights in different zones with more than one switch. This defines how warm or cool the effect of lighting will be in the room. It is measured with the Kelvin color temperature scale chart. The higher the K number, the coolest the effect and hence the brighter the light. Lower K numbers indicate that the light emits warmer colors. Since not all environments are the same, you need to pay attention to details that will allow you to make the right lighting choices. 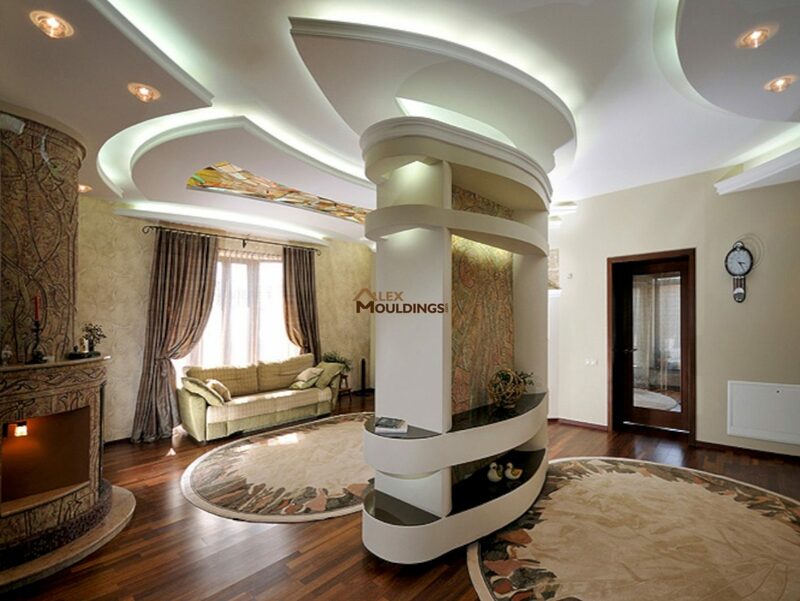 Talking about indoor recessed lighting installation, you need to pay attention to the ceiling, your access to it, the usage of the room, and your needs. Pot lights can be installed in any room. But you need to focus on whether you need task or accent lighting, to illuminate a high ceiling room, or to make a contrast. Such factors will help you decide on low or line voltage. What’s also tricky is selecting the right led strip lights. The length is important in order to fit on the ceiling but also the number of LEDs included in the strip and the lumens will determine the brightness. Heat and thus safety is always an issue when it comes to light for drop ceiling options. 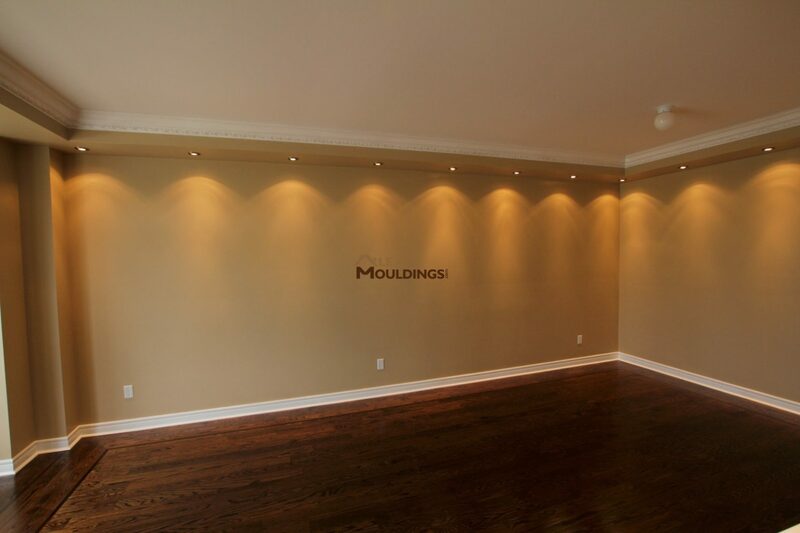 Recessed lights are the best products for such types of ceilings since there is often no room for pendants. Drop ceilings are often found in basements or offices since they conceal pipes, insulation, and air ducts. So, it’s important to select the right led pot lights for insulated ceilings to avoid fire hazards. And since LED lights generate less heat than other types, they make the best options. If they dimmable, that’s even greater since you can adjust the light. 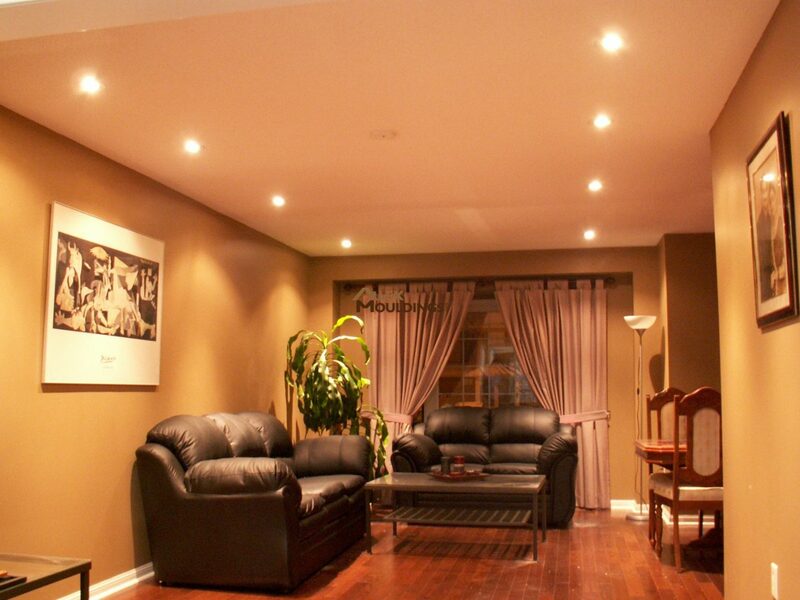 As an overall, when you are looking for living room, kitchen, or basement lighting ideas, focus on spacing too. The size of the trim along with the lighting effect you want to provide will determine how far to install one light from the other. It also depends on the size of the room but as a rule of thumb, 4 to 6 inches apart is the best installation option. When it comes to outdoor pot lights, you need to choose moisture resistant products. Exterior lighting must be protected from rain, snow, and humidity. Although it is always exposed to condensation, it must be installed in the most protected locations possible. Such products are often used in bathrooms too. Outdoor led spotlights must have a label stating that they are suitable for wet locations. Whether you want outdoor wet location or indoor slim led pot lights, every little detail about their quality, trim, housing, and spacing during installation matters. So, the best way to make the right choice and avoid mistakes is to read and compare led pot lights reviews available online and always depend on the assistance of pros.